Next week sees the return of Spartacus, the Starz original series chronicling the life of the titular slave who rebelled against his Roman oppressors. 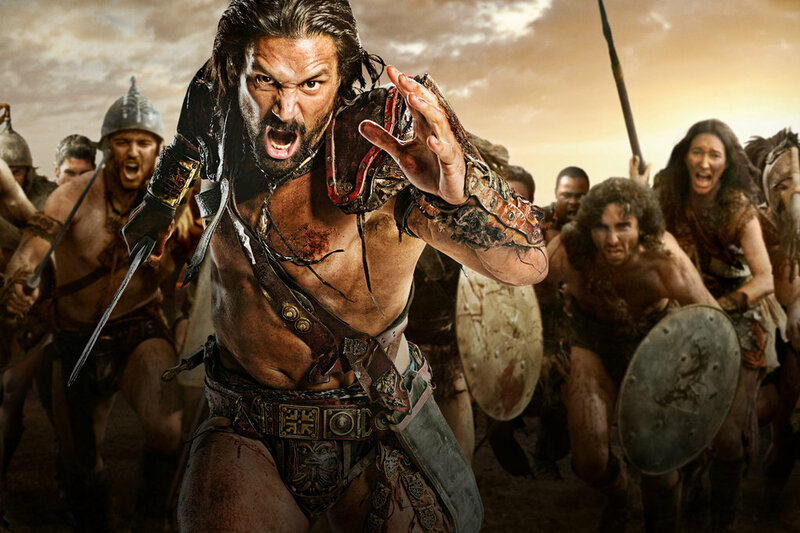 The show’s official second season, called Spartacus: Vengeance, has been long in coming, and brings with it many questions in the wake of the tragic death of the first seasons’ star, Andy Whitfield. The Flickcast recently partook in a discussion with series creator/exec. producer Steven S. DeKnight where, among other things, he talked about the transition from his original star to new Spartacus Liam McIntyre (check out our interview with the actor here), where the show is going from here and working with Joss Whedon. …that’s really what drew us to Liam is that we didn’t want to try to duplicate (Andy). I mean, that will never happen. He was such a singular, amazing talent. But we wanted to find somebody that had the same base qualities of compassion. And I told all the actors when they auditioned that even though Spartacus may fly into a rage now and then, he never comes from a place of anger, it’s always from a place of a wounded heart. And we really felt like Liam captured that essence. …on this show characters literally get the ax. I think really ultimately for me it’s always – it comes from the story is how is the story best served by a character death. I don’t ever want somebody to just die. It needs to have ramifications either emotionally or towards the plot. So that’s always the number one driving force of – on who do I kill. Some of the biggest controversy in TV over the past few years also happens to be tied to one of the best shows we’ve seen on American TV in a while. That controversy surrounds the STARZ original series Spartacus. The first season, titled Blood and Sand, was one of the cable networks highest rated series of all time, so it was natural that it would get a second season. Due to the main star, Andy Whitfield, getting diagnosed with cancer, the show went on hiatus, and then continued on with a prequel season without Whitfield. Sadly, the star passed away earlier this year, leaving the showrunner, Steven S. DeKnight, without a star, and a network looking to continue the franchise. The panel also introduced Whitfield’s replacement, actor Liam McIntyre who called succeeding Whitfield “a really nice challenge… a great privilege and a great honor… a great responsibility.” Big sandals to fill indeed. Regarding the plan for the new season, according to the panel and Exec. Producer Steven S. DeKnight: “There’s an episode where we kill a lot of people. This season is just epic. It’s grand scale… It’s just a gigantic, gigantic season.” Also, a power struggle is about to emerge between Spartacus, Crixus and Gannicus, which should prove interesting to say the least. Check out the video after the jump. Spartacus: Vengeance premieres on Starz later this year. If you’re a fan of the Starz series Spartacus: Blood and Sand you are no doubt aware that series star Andy Whitfield has been battling illness for some time. Recently, the network decided to find someone else to take on the titular role in the series once Whitfield’s return was not possible. Then began a search for the actor who would would be the new Spartacus, which recently was down to three. According to the network, that search has now ended. Australian actor Liam McIntyre has been named the new star of the series. According to the report, Starz executives liked his acting abilities but he was told to bulk up to look more like a gladiator. About the casting, Starz had this to say: “(McIntyre) has excelled at a grueling and rigorous audition process to claim the title role in the second season” of Spartacus: Blood and Sand. The series’ prequel, Spartacus: Gods of the Arena, debuts on Friday. Click through for the official release from Starz. We wish McIntyre luck but also recognize he has some pretty big, um, shoes to fill.